About a week ago, a college friend of mine asked me if I would share some information about an event called Marked that's taking place on March 2nd here in OKC. Of course, I said yes. But after reading more about the event in order to write this post, it became a YES! 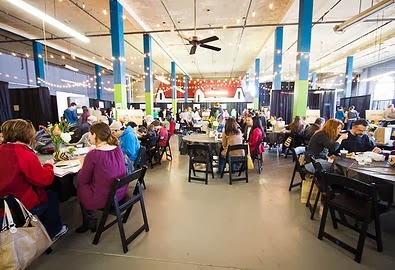 At Marked, there will be three areas to visit to learn about the issues women face - Educate, Employ, and Engage - all as a means to better the lives of women and to prevent tragedies such as trafficking, incarceration, and poverty. These three areas will break down the issues and provide ways of actively contributing to eradicating oppression through interactive learning stations, prayer guides, and ways for you to engage. You will also have access to the ShopGood Market and an International Café. Professionals and non-profit leaders will be there to share how men and women can join them in bringing hope to the marginalized. Marked is hosted by The Spero Project. Colt and I had the opportunity to work with them a few years ago and it was a wonderful experience. They are doing some great things. If you'd like to read more about their mission, click here. The All-Access Conference Pass to Marked is just $30 before February 1st and General Admission is FREE! If you've been looking for ways to help others or get involved with a ministry that is really following through, this is for you. We love when yeses turn into YESES!!! :) Thanks so much friend and if anyone has any questions - we would be happy to answer them. This is a family friendly event so we hope to see you ALL there!